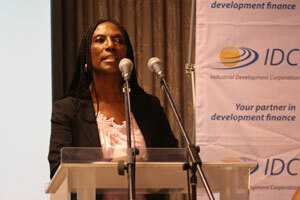 IDC funding for existing and potential industries in KwaZulu-Natal is poised for accelerated growth, IDC CEO Mvuleni Geoffrey Qhena told stakeholders at the latest IDC CEO Regional Roadshow in Umhlanga. 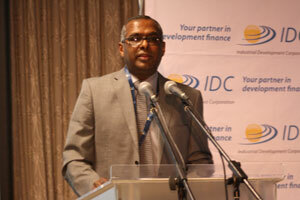 IDC funding for existing and potential industries in KwaZulu-Natal is poised for accelerated growth, IDC CEO Mvuleni Geoffrey Qhena told stakeholders at the latest IDC CEO Regional Roadshow in Umhlanga on Friday, 26 August. KwaZulu-Natal, the second-biggest contributor to South Africa’s GDP behind Gauteng, was the third stop in a series of regional roadshow events that are taking Qhena around the country to engage with the Corporation’s stakeholders. 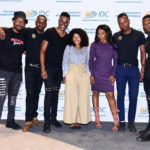 The objective is to increase awareness of the target sectors the IDC supports and the different kinds of support it offers, and through this to attract new clients, with the focus on women, youth and black industrialists. The packed event at Umhlanga’s Coastlands Hotel and Convention Centre featured a keynote address by Qhena, a presentation by Regional Manager for KwaZulu-Natal, Pat Moodley, testimonials from clients, an exhibition and a question-and-answer session. 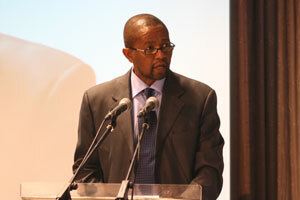 Qhena said the IDC played a critical role in supporting existing and potential industries in the local economy. Since 2009, he noted, the Corporation had provided funding support of around R4-billion to 142 companies in KwaZulu-Natal, nearly R1-billion of which was approved in the last financial year alone. And this support is likely to grow, with the IDC having committed at least R23-billion to support black industrials over the next 5 years. “On the back of the proposed industrial hubs that will be created within some of the district municipalities across the province, we see further opportunity for increased industrial activity,” Qhena said. This had the potential to open up new funding for opportunities for entrepreneurs, particularly black industrials, within the automotive, clothing and textiles, agro-processing, as well as techno and electronics sectors. 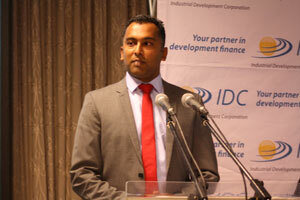 Regional Manager Pat Moodley told the gathering that KwaZulu-Natal is one of the IDC’s busiest regions, with over 144 active clients and a project portfolio that stands at more than R5-billion and still has plenty of room for growth. The Corporation’s target sectors in the province include clothing and textiles, basic metals and mining, chemical products and pharmaceuticals, agro-processing, light and heavy manufacturing. “These sectors have the greatest potential to create jobs opportunities, something that is critical to the IDC,” Moodley said. Going forward, the IDC in KwaZulu-Natal expects funding opportunities to emerge from a number of major developments, particularly the automotive park planned for the south of Durban, which aims to lower costs by bringing suppliers and manufacturers together in one location. “Secondly there are plans to create industrial hubs, which will see each municipality hosting sector-specific hubs,” Moodley said. The first client testimonial of the roadshow event was given by Zandile Masuku, co-founder of Gogo Go Green, a women-led initiative which houses several subsistence farmers’ co-operatives. The idea for Gogo Go Green arose when Masuku and a group of female farmers from Umsinga, looking for a way of generating more income, noted that residents had to settle for often stale bread delivered just twice a week from bakeries in Pietermaritzburg. When they approached the IDC for assistance with setting up their own bakery in 2013, they got far more than they had expected. “Because the IDC wanted to ensure the sustainability of Gogo Go Green as a business, the Corporation provided us with an expert to assist with the feasibility study of our business proposal,” Masuku said. Gogo Go Green’s bakeries now supply fresh bread to members of the surrounding communities, the 350 women that farm in the area, as well as local children as part of a school nutrition programme. Masuku says her passion for the initiative derives from its “ability to alleviate poverty and create jobs for women and youth”. The two bakeries currently employ 14 women and six young men, with potential for much more. Masuku’s vision is for Gogo Go Green to expand across Umsinga and other rural areas in the province. Further client testimony came from Kevin Kistan, CEO of Sacks Packaging, which is based in Mobeni, south of Durban. Sacks Packaging was a division of Nampak Products until 2015, when Kistan, then executive director, led a management buy-out with funding assistance from the IDC. Their multi-layered sacks and bags, which can be made with both imported and locally manufactured paper, are currently used in the cement, agricultural, sugar and grain milling industries. The company’s biggest clients include Tiger Brands and Premier Foods. The IDC’s terms suited Kistan because he did not want new partners who might stifle his entrepreneurial style. The company still employs the majority of its employees from Nampak, its workforce is 95% black, and 79% of its management is black. Finance controller Thokozani Shabalala is the youngest member of the top brass – and at 25 years also the youngest charted management accountant in South Africa. Sacks Packaging also prioritises skills development, and is continuously looking at upgrading its employees’ skills. They currently have 22 apprentices on their staff. 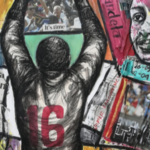 “We are the only company in this industry that is 100% black-owned, and that creates an opportunity in terms of attracting new clients,” Kistan said. The IDC has two main KwaZulu-Natal offices, in Durban and Pietermaritzburg, as well as a satellite office in Richards Bay. The Corporation began establishing its regional footprint nine years ago, and now has 14 regional offices and 10 satellite offices across the country. The strategy has been hugely successful in furthering the IDC’s mandate to drive industrial development and facilitate job creation. The regions contributed R3.5-billion to the total R11.5-billion in funding that the IDC approved for the 2014/15 financial year. This has resulted in 102 deals being funded, with an encouraging portion of funds being channelled through the regional offices.